In large bowl, mix ice cream, orange juice concentrate, water, vanilla and food color until almost smooth. 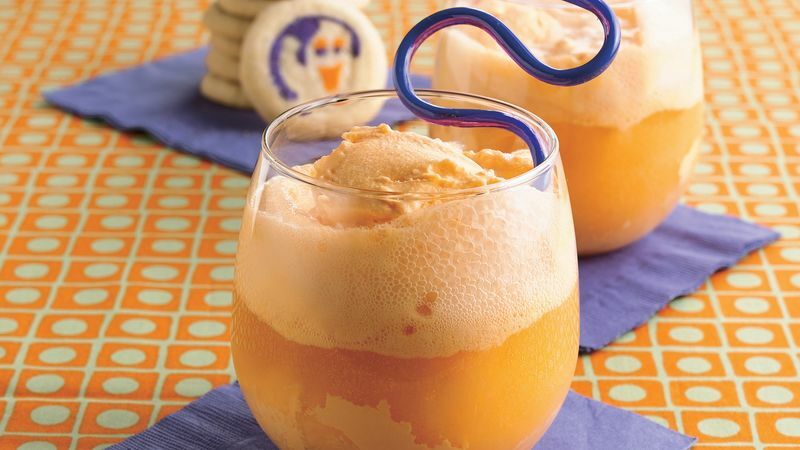 For each serving, scoop heaping 1/2 cup ice cream mixture into 16-ounce glass. Pour about 1 cup ginger ale over top of each. Make the ice cream mixture up to 6 hours before serving time and store it in the freezer. Let the mixture soften slightly at room temperature before scooping it into the glasses. Just before serving, top with the ginger ale. Make Pillsbury® Ready to Bake!™ SHAPE® Cookies with ghost centers to serve with the floats.